Once you have added Employees to a Department, you can then filter the view on your View TimeSheets screen to see only employees from a certain Department. This filtering can be helpful to work on editing times for specific groups of employees in batches. If you have multiple offices or service areas, you may wish to use Locations in conjunction with Departments to further classify and filter your Employees. 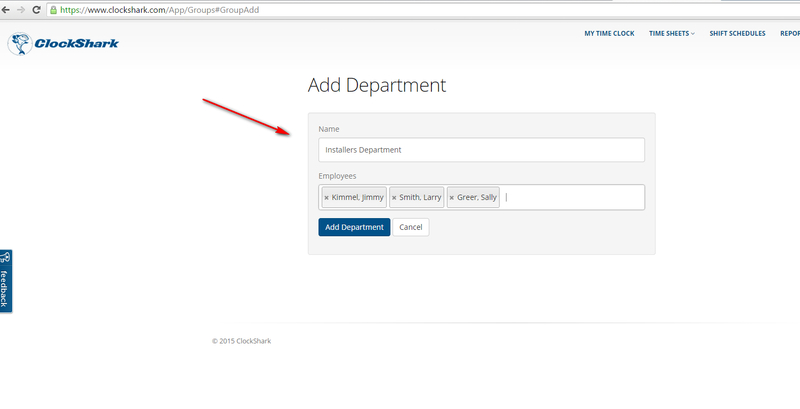 To add Employees to a Department, visit the Departments screen located in your Admin Menu.